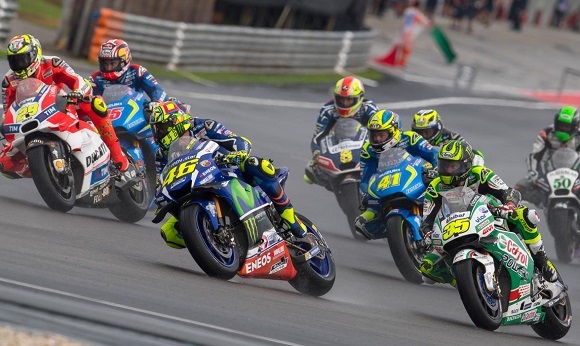 MotoGP News in UK – Motorlands is not only the first private marketplace for motorcycles, accessories, spare parts and clothes. But we also talk about MotoGP News. MotoGP was born in 2002 and it replaced the 500 class. The FIM changed the name. Because there was also a change in the regulations for the engine, no longer limited to 500 cm ³ for any type of propeller, but differentiated, by type, bringing the largest limit for four-stroke engines at 989 cm³. While in the 2007 season, FIM reduced the largest engine displacement to 799 cm³ and no two-stroke engines were the most allowed. Since 2012, the FIM increased the engine capacity up to 1000 cm³. We are very proud of the British. Because they love this sport. MotoGP news in UK is very important for us. Motorlands talks about MotoGP in a nontraditional way. Unlike other specialized sites, our MotoGP News are insights on the major themes of this fascinating sport. We think and write driven by our passion for MotoGP. Criticisms and compliments allow us to understand every day what to work on. What’s really the reader find in our posts. What you really want to know about world of MotoGP. 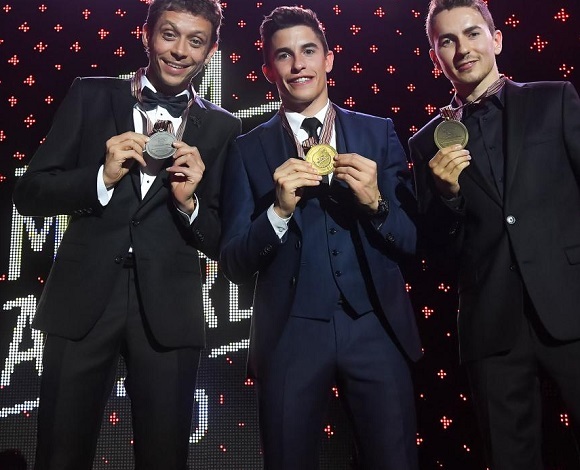 This first year of MotoGP News was beautiful and inspiring. The themes were many and battles on the track were amazing. Next year, we will follow the 2017 MotoGP season, bringing home many stories and many curiosities. From the track and from outside. Rossi and Vinales in Yamaha, Lorenzo and Dovizioso in Ducati, KTM debut and the wish to win again of Marc Marquez. So, they are the right ingredients for a new season that looks really exciting. Follow us on social networks. We have lots of MotoGP News for next season. The MotoGP World Championship will live with you. We will be there with you on the sofa or in your favorite bar. So, we will follow the pilots during a long season of sport through our inevitable MotoGP News in UK.